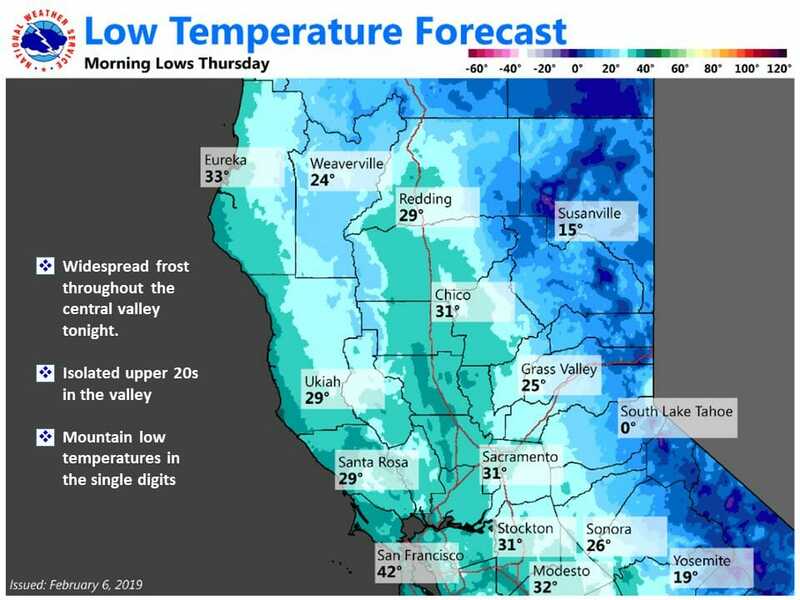 February 6, 2019 – Lingering snow showers over the Sierra this morning, otherwise dry through Thursday afternoon. Central valley frost Thursday morning. Light rain spreading across the north state on Friday. 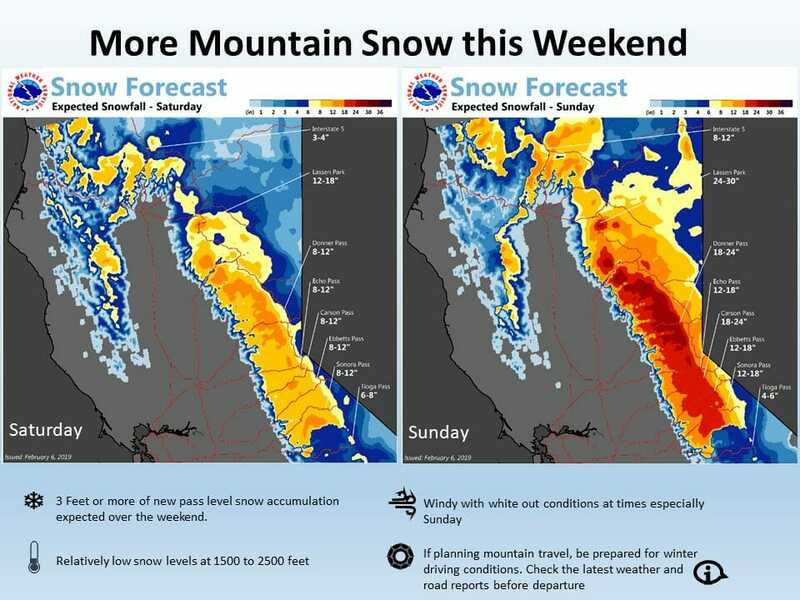 Moderate snow over the mountains over the weekend with relatively low snow levels and more snow down into the foothills. Upper low pressure system exiting the region to the east this morning with just some scattered clouds pivoting through in upper level northerly flow. May see a isolated shower over the Sierra this morning but otherwise most areas should see clearing skies today. High temperatures will warm some today but cold airmass will keep daytime highs today below normal. 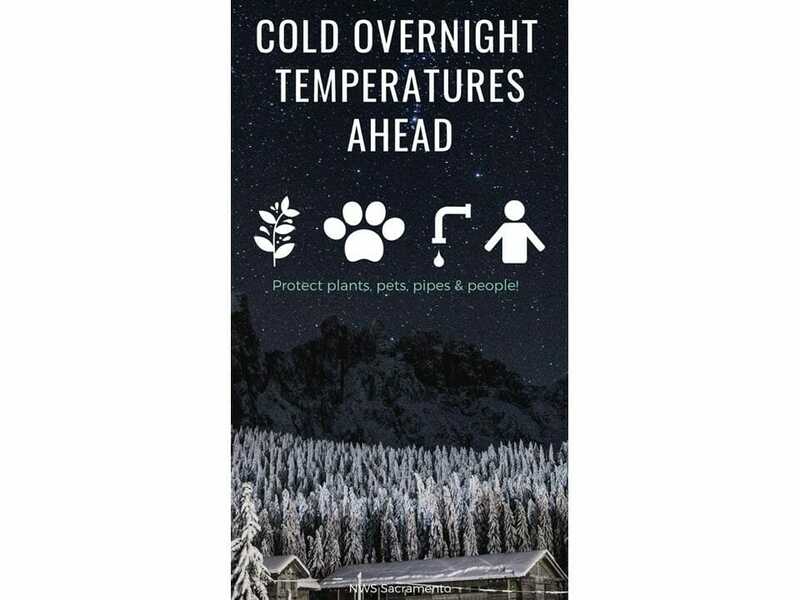 Mainly clear skies tonight combined with cold airmass and relatively light north winds will make for a cold night tonight. 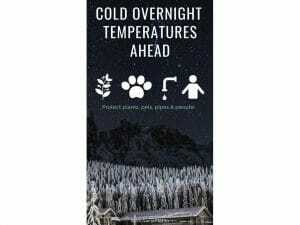 Most central valley locations will see overnight lows below freezing with some upper twenties likely. Upper ridge over the west coast will slip east of the forecast area on Thursday allowing clouds to start spilling into the north state. Cold start to the day combined with cloud cover will keep daytime high temperatures below normal. Forecast models bring an upper low into the eastern Pacific Thursday night and close enough to the coast to bring a threat of light showers to the coast range and Shasta county. Model guidance in fairly good agreement in dropping the upper low southward off the coast and keeping heavier precipitation west of the forecast area. A threat of precipitation still remains over the entire CWA Friday but amounts should remain on the light side. Under cold airmass, snow levels will be relatively low so light snow will be possible over the foothills. The upper low swings through the central part of the state Friday night as another cold upper low drops southward out of Canada and into the Pacific Northwest. This stronger system will bring a threat of more significant precipitation during the second half of the weekend. Low snow levels will accompany this cold system so snow in the foothills will again be an issue. A cold system is expected to drop down from the north, and move inland on Sunday, bringing precipitation across interior NorCal. QPF amounts suggest 0.10-0.25 inches across the Valley, and 0.50-1 inches across the foothills/mountains on Sunday. 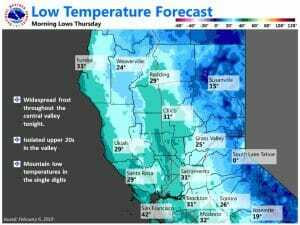 Snow levels could drop to around 1500 feet, with more snow down to the foothill elevations. 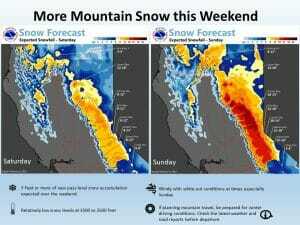 Snow amounts are forecast to be one to two feet on Sunday, with the potential for hazardous mountain travel. Precipitation may linger into Monday morning, with the latest ECMWF quicker to dry out conditions than the ECMWF. Next system may approach the region by midweek, but model differences are evident in terms of precipitation coverage and timing.